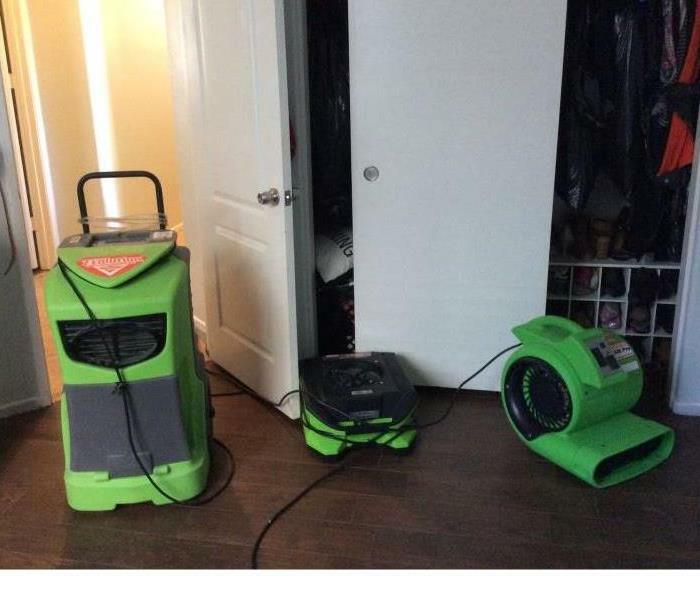 SERVPRO of Beaumont/Banning is known for fast and efficient placement of equipment that helps with WATER DAMAGE, FLOOD DAMAGE OR FIRE DAMAGE. We are known for our prompt and efficient services to our customers.We make your disaster "Like it never even happened." 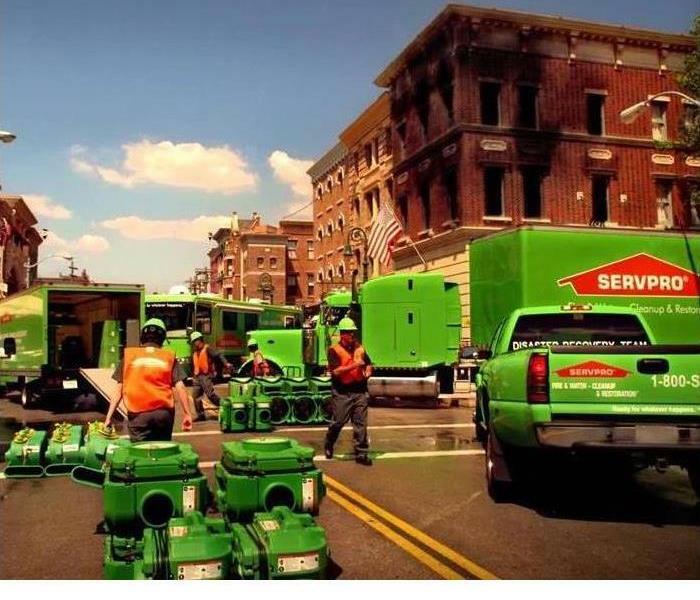 SERVPRO of Beaumont/Banning has all the equipment and materials to BUST SOOT after a fire event. 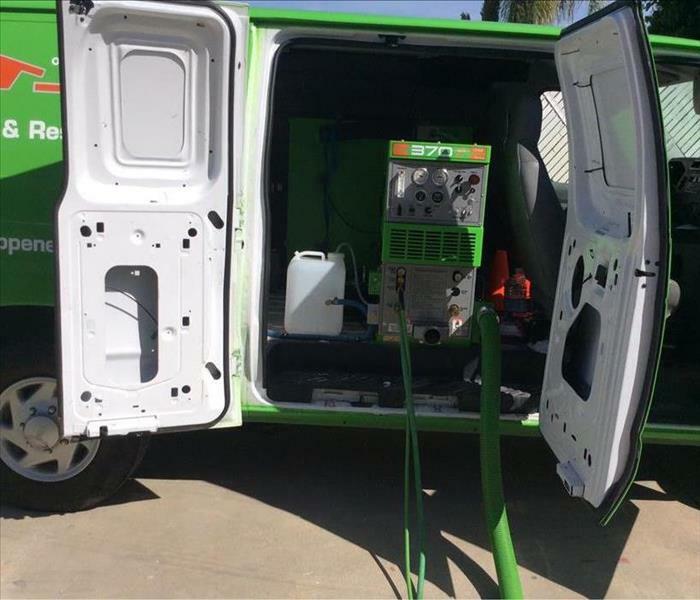 Special equipment and cleaning methods give SERVPRO the edge to cleaning and restoration over any other company. You can always count on professional service and reliability when the need is there. Flood on a wide scale is our business. We come in and analyze the situation and get right to work with our advanced solutions to flood, fire, soot and mold. Our well trained professional and certified personnel make it .. . "Like it never even happened." At SERVPRO of Beaumont/Banning we go above and beyond for our clients. Up on the roof we found soot and ash from the Idyllwild Fire. 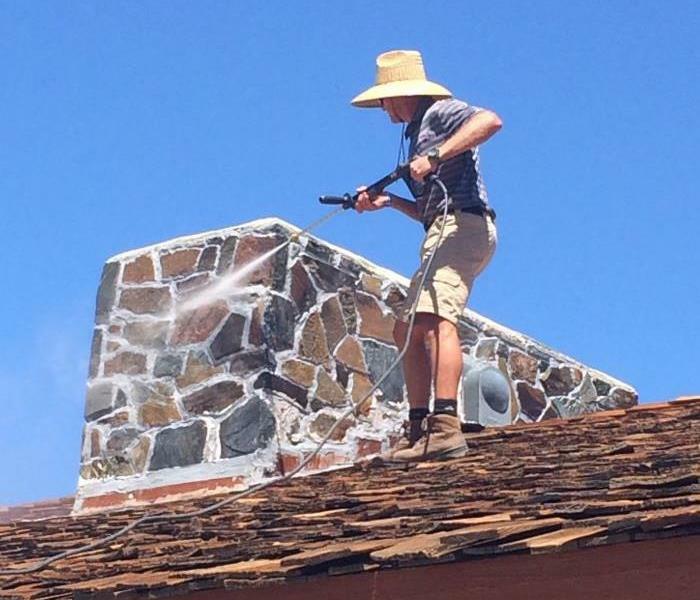 Pressure washing sticky soot is a above and beyond job that SERVPRO of Beaumont/Banning does every time. Aftermath of a fire is devastating to the home owner. Choosing SERVPRO of Beaumont/Banning help put this homeowner and family in the best possible situation. The owner couldn't believe how quickly we were able to restore and the compassion and ability to get through to the insurance company. 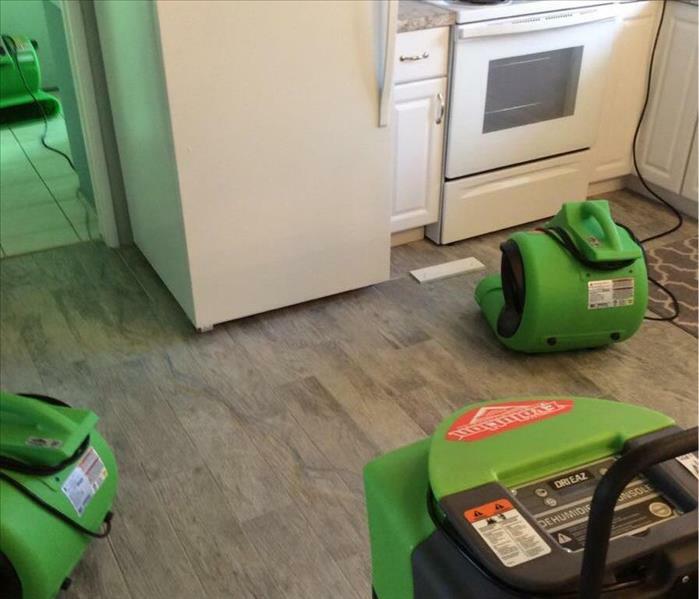 SERVPRO of Beaumont/Banning made it "Like it never even happened." This resident suffered water damage in multiple rooms throughout their home due to a slab leak. The rooms affected with water were the laundry, kitchen and living room. SERVPRO was contacted days after the loss occurred. Due to the extent of the damage, aggressive dehumidification was required. Here is a picture of our equipment at work. The faster we ca arrive at your site after a loss, the more we can prevent secondary or permanent damage to your property. This historic home was hit hard by wildfire soot and smoke damage.There was significant smoke and soot damage. 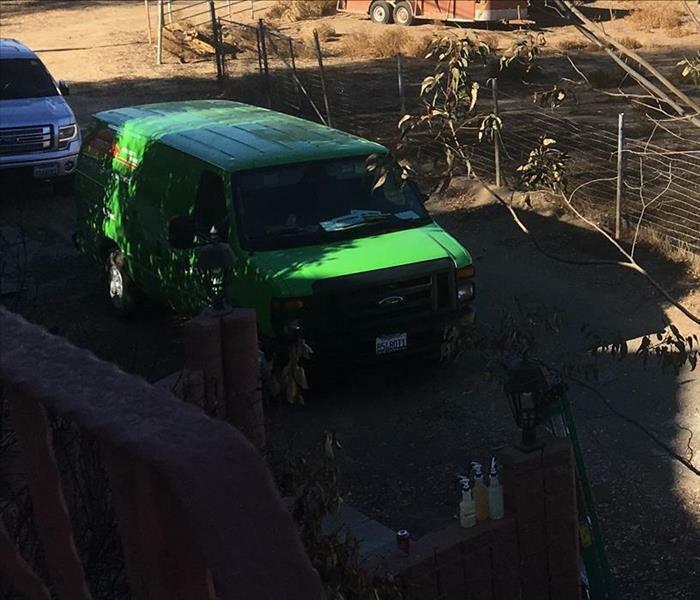 The cleaning of soot and smoke damage of 3 main structures was a daunting task which was taken on by our great SERVPRO of Beaumont/Banning Team of professionals. Do you own a business? If so, we can help you prepare for the unexpected. Our Emergency Ready Profile can help you prepare in a case where your business has a fire or water loss. 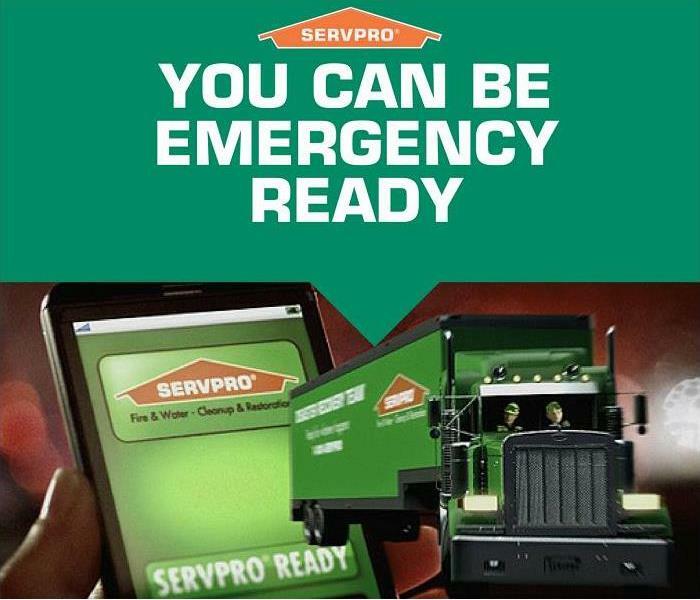 Our professionals at SERVPRO of Beaumont/Banning can assist you in providing a custom plan that contains the information needed in the event an emergency situation occurs. To inquire about our Emergency Ready Profile, contact us at 951-922-2900. Storm and water damage affect not only the structure of your house but also your belongings. SERVPRO of Beaumont/Banning understands that your home is more than a structure; your family’s furniture, clothing, keepsakes, and other belongings help transform a house into a home. The first 24 hours after a storm causing widespread flooding and water damage are the most important in preventing secondary or permanent damage. Our team is ready to respond as quickly as possible to help our Beaumont, Banning and Desert Hot Springs communities with cleanup and restoration. Our crew getting ready to go on a mold remediation job in Banning CA. 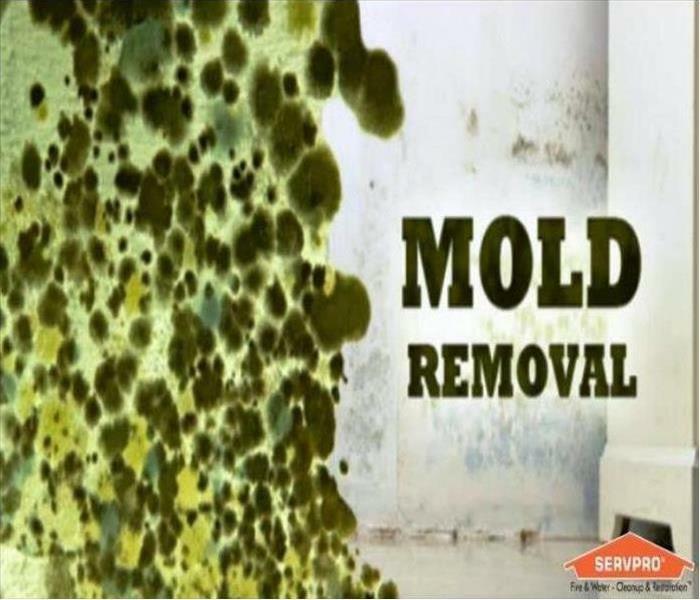 Like any another other loss, we at SERVPRO of Beaumont/Banning take mold serious. Mold can cause health effects and can also cause significant damage to your property. 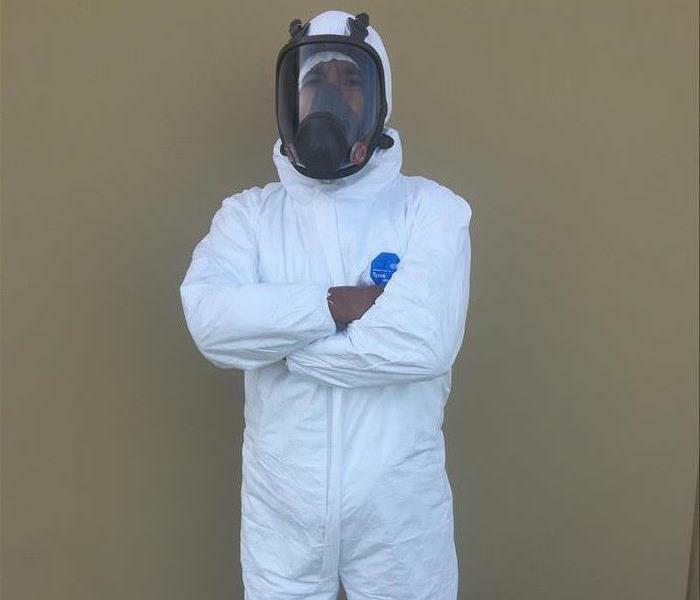 Our Mold Professionals have the training, protective gear, and specialized equipment necessary to handle your mold problem. 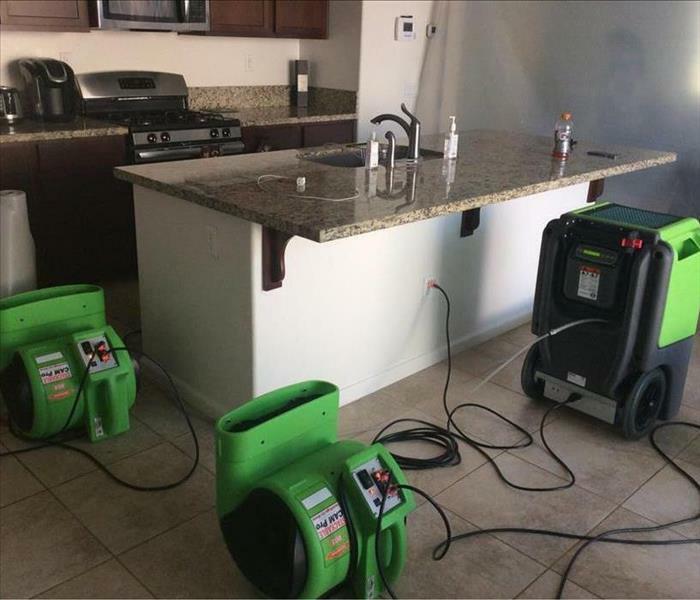 SERVPRO of Beaumont/Banning has helped local residents and businesses recover from their water damaged properties after experiencing a water loss. If recent storms have caused flooding or a pipe has burst, our highly trained technicians are ready 24 hours a day, 7 days a week, to respond immediately to flood or water damage at your Beaumont, Banning and Desert Hot Springs property. We have the experience, expertise, and training to restore your home or business quickly and properly. We use advanced inspection and extraction equipment to find the water and remove it as quickly as possible. Our local technicians will closely monitor and document the drying process to ensure your property is back to normal. There's never a convenient time for fire or Water damage to strike your Beaumont, Banning or Desert Hot Springs commercial property. Every hour spent cleaning up is an hour of lost revenue and productivity. So when the need arises for professional cleaning or emergency restoration services we have the training and expertise to respond promptly with highly trained technicians to get your property back to business. Extensive microbial growth as seen in this photo can happen when the mold problem is not taken care of early and properly. Believe it or not, even at this point, this mold problem can still be mitigated with the right expertise and equipment. 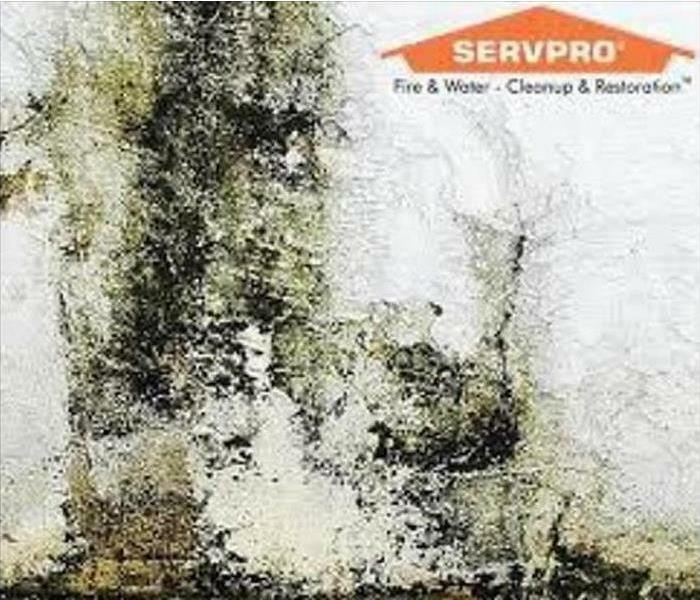 SERVPRO of Beaumont/Banning has trained technicians that are able to test and remove the mold growth, restoring the space to preloss conditions. 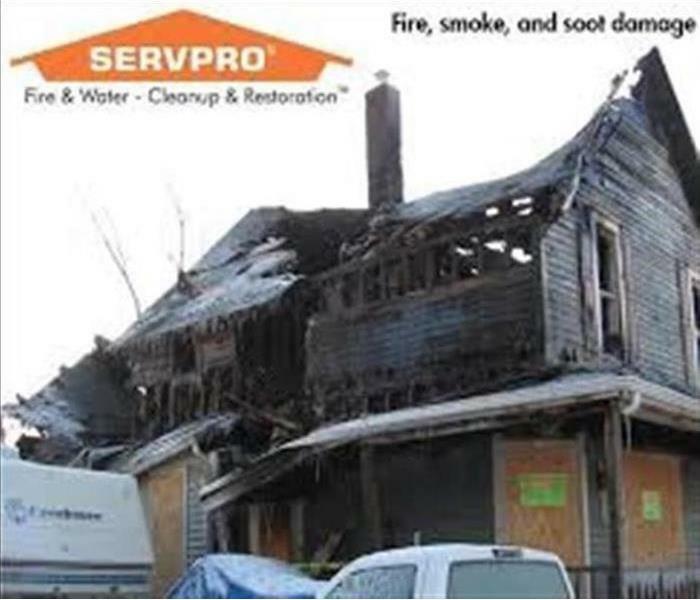 Choose SERVPRO of Beaumont/Banning, a local company that specializes in fire, water and storm damage restoration. We are Here to Help® and ready to respond to fire, wind and soot conditions in our Beaumont, Banning and Desert Hot Springs area. 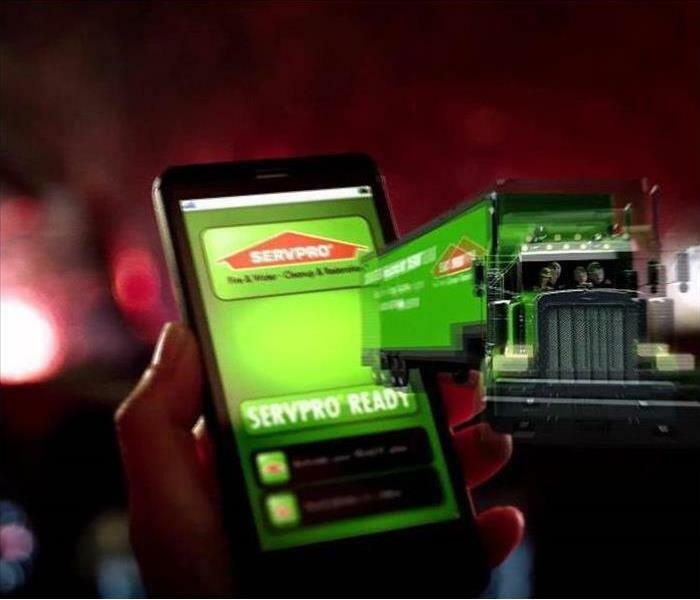 If you are dealing with a flood or water damage from a storm, our experienced team at SERVPRO of Beaumont/Banning is ready to respond. Since we are locally owned and operated, we have prepared for expected damage from storms and are able to respond quickly. Immediate action and a fast response, lessens damage, limits further damage and reduces restoration costs. Our highly trained crews have the specialized equipment and resources to handle the job, large or small, residential and commercial. Our teams are prepared teams with equipment strategically located in case of flood or storm emergency in our area including Beaumont, Banning and Desert Hot Springs. 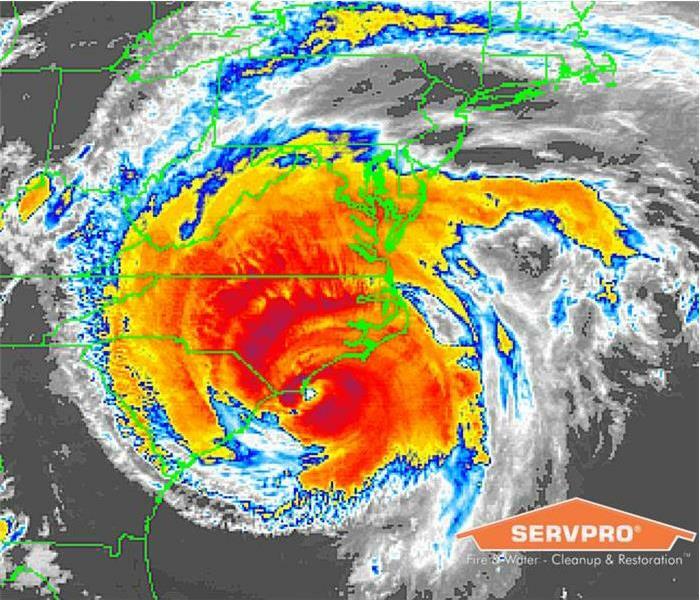 Choose SERVPRO of Beaumont/Banning, a local company that specializes in storm and flood damage restoration. We are Here to Help® and ready to respond to storm and flooding conditions in our Beaumont, Banning and Desert Hot Springs area. Fire and water damage events at a home or business are often complex with numerous issues that require a knowledgeable and flexible response. Do you have an emergency ready plan? In not, we can help. 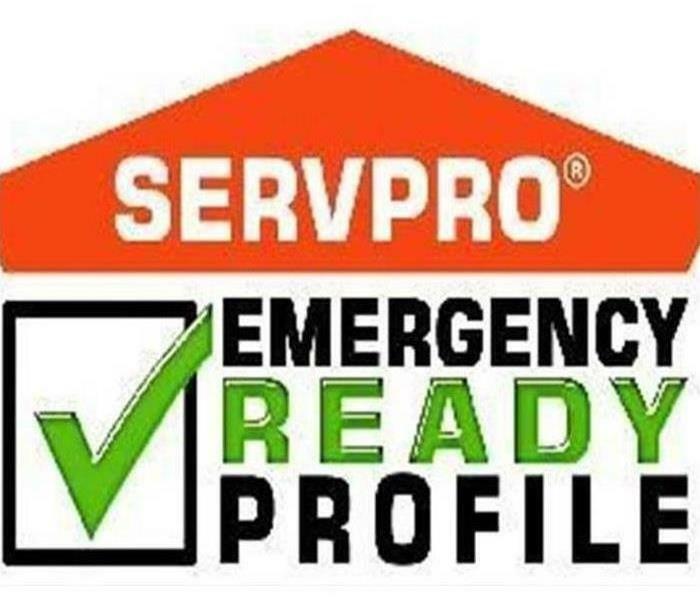 We at SERVPRO of Beaumont/Banning can assist you in developing an Emergency Ready Profile. The profile will contain the information needed in a case of an emergency at your home or business. Contact us today and ask about our Emergency Ready Profile. We can help you be ready for what ever happens. SERVPRO of Beaumont/Banning specializes in the cleanup of commercial property after a water damage event. Our staff is highly trained in property damage restoration. 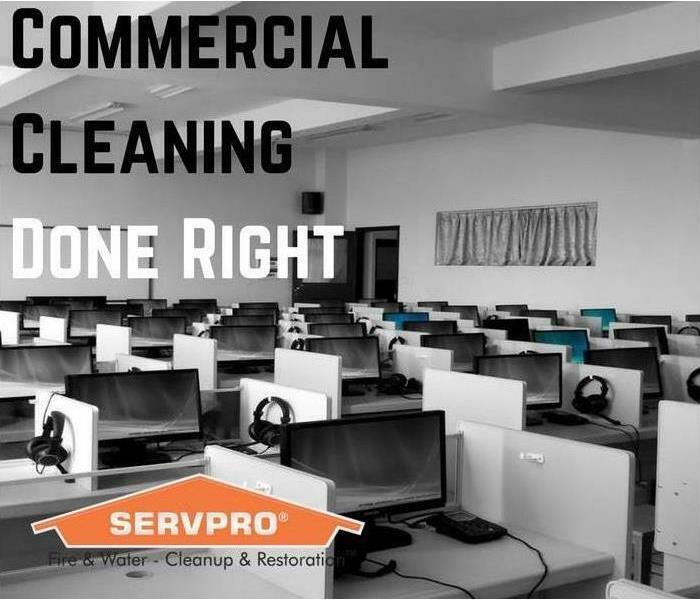 From initial and ongoing training at SERVPRO’s corporate training facility to regular IICRC-industry certification, rest assured our staff is equipped with the knowledge to clean and restore your property. Any leak unintended or indoor water spills can create damp areas and moisture in your home or business that can initiate mold growth. Controlling moisture and drying areas that are wet quickly, can be a great way to avoid mold growth. If you have mold infestation, we can help. Our crews are highly trained and use specialized equipment and techniques to properly remediate and destroy mold. Most water intrusions are the result of storm damage, flooding, plumbing, standing leaks, and poor control of humidity inside the home. Areas containing moisture and for a long period of time are more likely to have mold. Improper drying and handling of the situation can result in the growth and spread of mold. And while most mold may be visible, mold may also exist in areas not visible to the eye, making this all the more serious since its harder to detect. 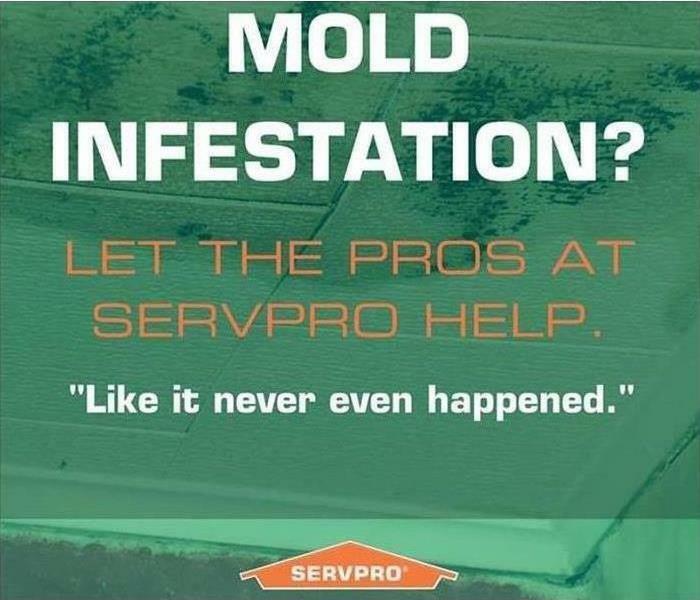 If you have mold infestation, let the pros at SERVPRO help you. 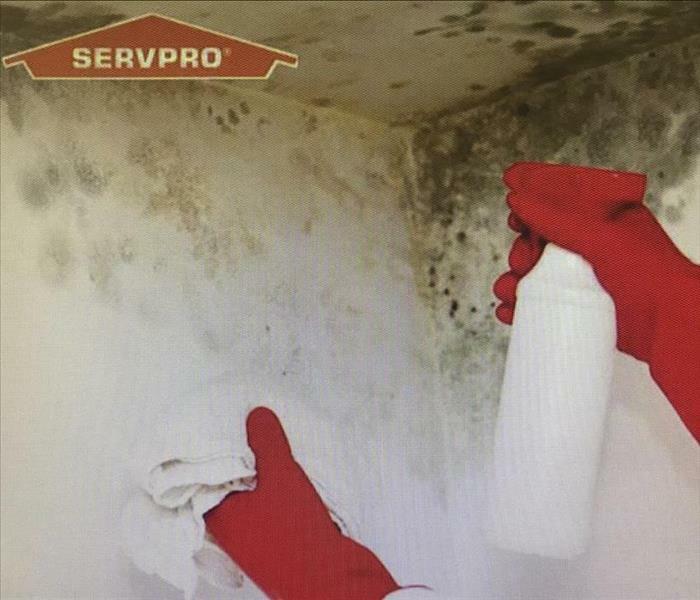 SERVPRO of Beaumont/Banning specializes in mold cleanup and restoration. Our crews are highly trained restoration professionals that use specialized equipment and techniques to properly remediate your mold problem quickly and safely. If your home or business has a mold problem, we can inspect and assess your property and use our specialized training, equipment, and expertise to remediate your mold infestation. Our highly trained crews are ready to respond 24/7 to storm or flood damage in Beaumont, Banning, and Desert Hot Springs. 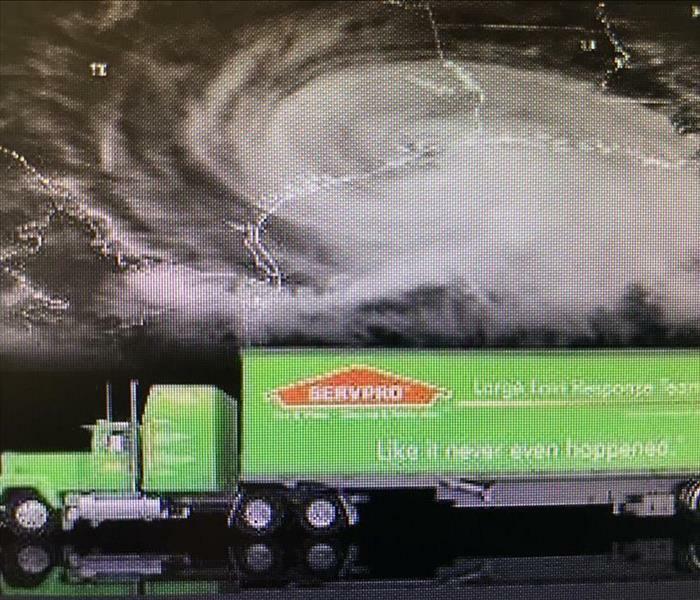 SERVPRO of Beaumont/Banning specializes in storm and flood damage restoration. Our crews are highly trained and we use specialized equipment to restore your property to its pre-storm condition. 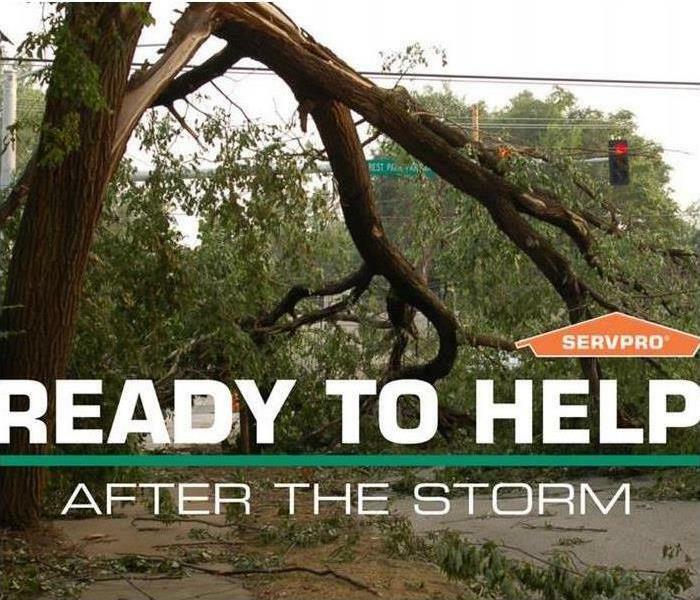 When Storms or Floods hit your neighborhood, SERVPRO is ready! When fire and water disasters strike, you need someone that can help and help fast. 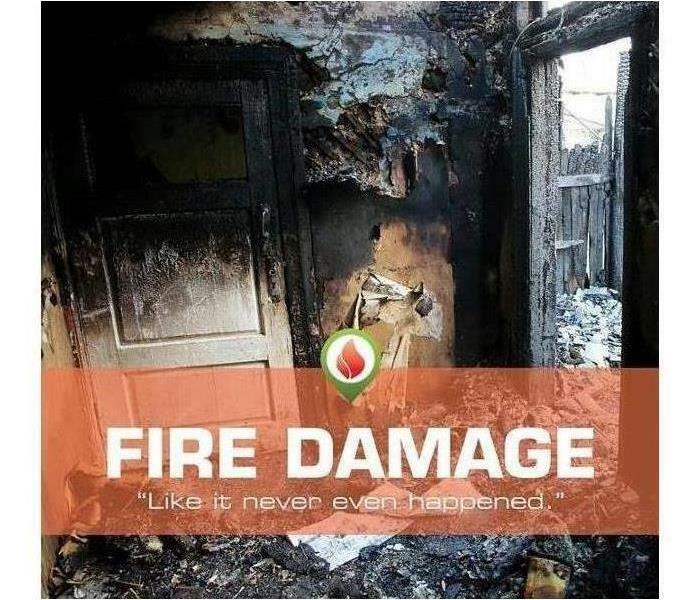 The first 24 hours are crucial to any loss, making sure you get the right help and a quick response, will help to mitigate and limit further damage. We at SERVPRO of Beaumont/Banning can respond faster to any Beaumont, Banning, and Desert Hot Springs business. Many homes near the Lilac fire experienced smoke damage on their rooftops. 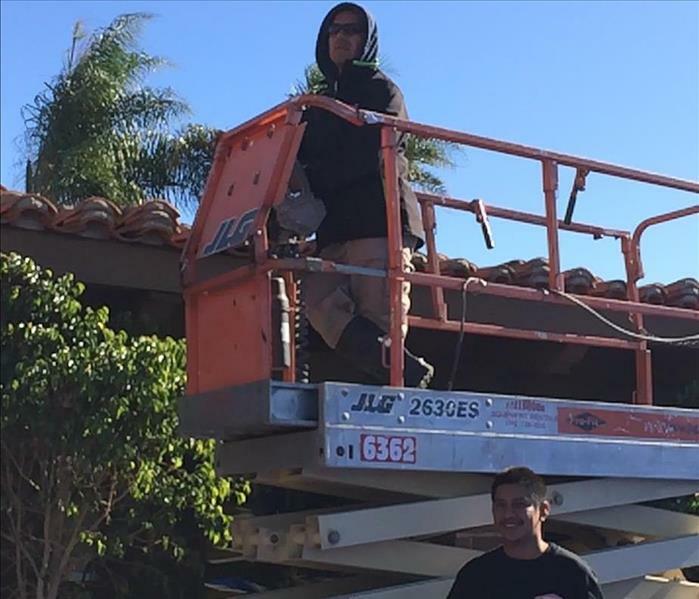 Here is a photo of two of our technicians, in a Fallbrook home, getting ready to pleasure wash the rooftop to clear it of any smoke and soot. The job required a commercial pleasure washer and a scissor lift. If there has been a recent brush fire near your home, its possible your home may have smoke damage. If you find soot or smoke inside your home or on the roof, contact us today. We can help clean it up. The devastating Lilac fire that occurred in December of 2017. The fast moving brush fire destroyed many structures and caused damage to many homes. In this picture are some of the remains of some of the structures in that area. Another picture showing the devastating impact of the Lilac fire in San Diego County. This picture was taken in the city of Fallbrook, one of the cities impacted by the fire. 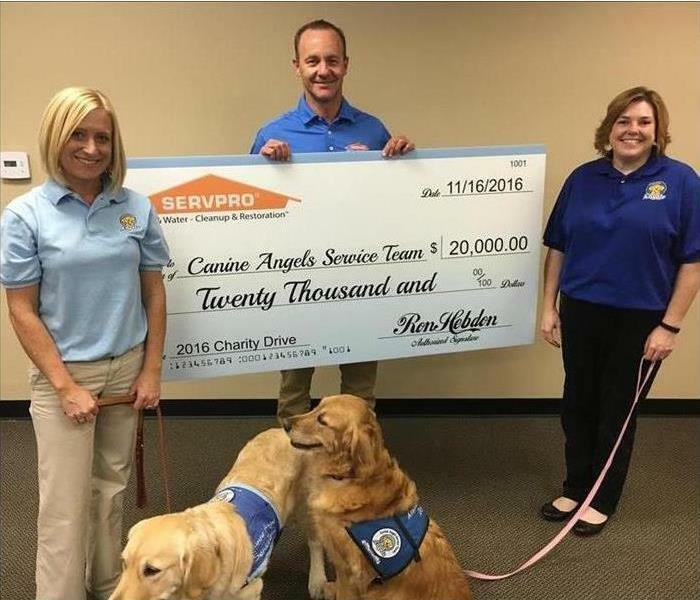 SERVPRO of Beaumont/Banning were among the SERVPRO franchises that traveled to San Diego to help after the devastating Lilac Fire. This is a photo of our crew heading to a Fallbrook home to help with fire damage. We make disasters "Like it never even happened." Some waters are stubborn and cannot be dried. This Desert Hot Springs home experienced those waters. Carpets and padding that cannot be dried have to be removed. 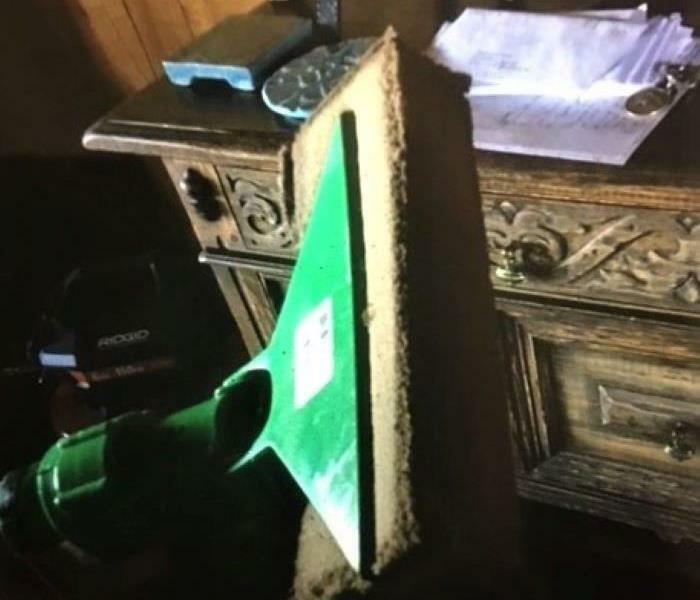 We at SERVPRO of Beaumont/Banning examine carpet for damages and remove damaged carpet with guidance from you and your insurance adjuster. In certain cases, the faster we can get to a water loss, the greater are the changes we can dry the carpet in place. If you experience a water loss, contact us immediately. 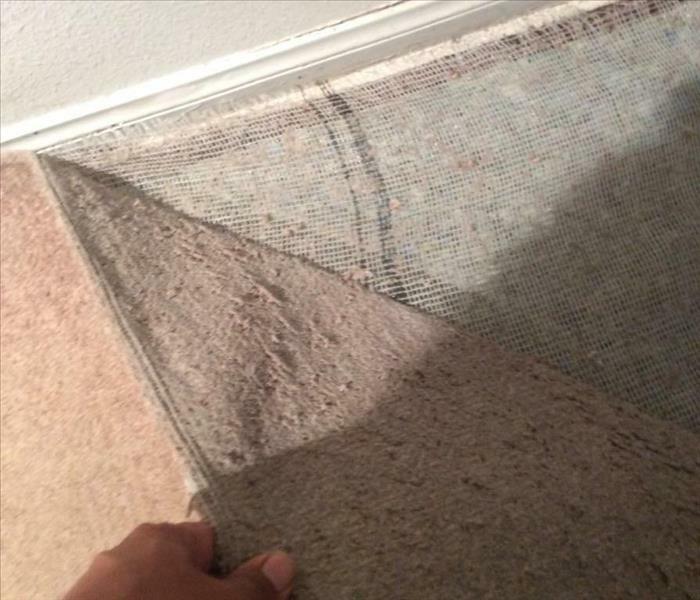 We might be able to save your carpet. Certain roofs are more susceptible to flooding than others. Flat roofs with borders around are a great example, especially if the drain pipes begin to clog up. In this particularly case, the drain pipe was clogged with pine needles and small branches from a near by pine tree. The flooding caused damage to the roof which then resulted in leaks and damage to the inside of the building. 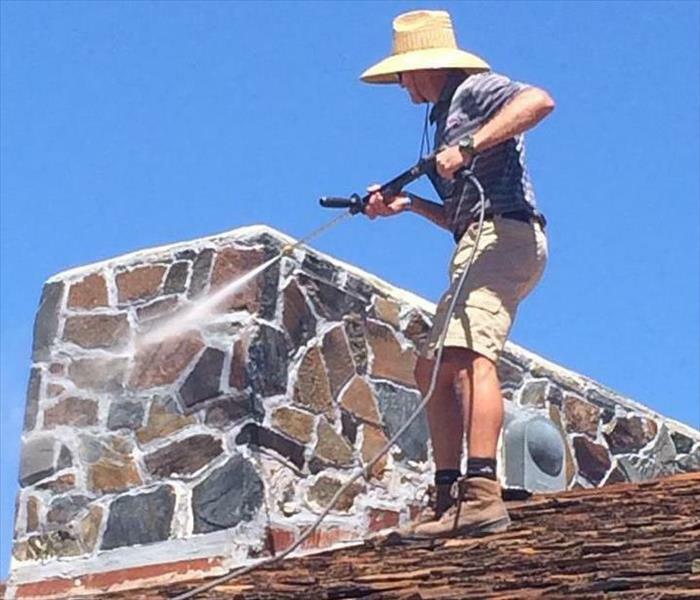 If you have a similar situation or notice water building up on your roof, act immediately, WE CAN HELP! The more you wait, the more damage can occur. Here you can clearly see what caused the drain pipe to clog up. And as you can see, our technician fearlessly approached the dangerous waters. There isn't a water loss to large we cannot handle. 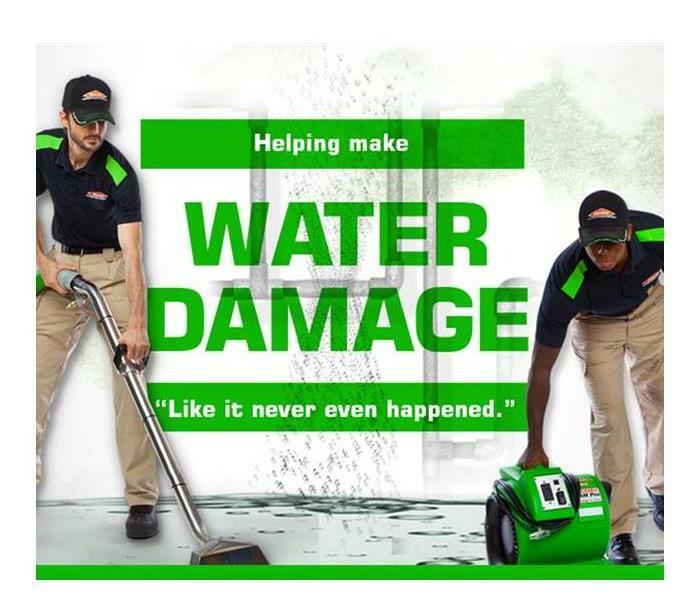 We are SERVPRO of Beaumont/Banning, the water damage experts. A Beaumont resident contacted us for advice in anticipation to an upcoming storm. 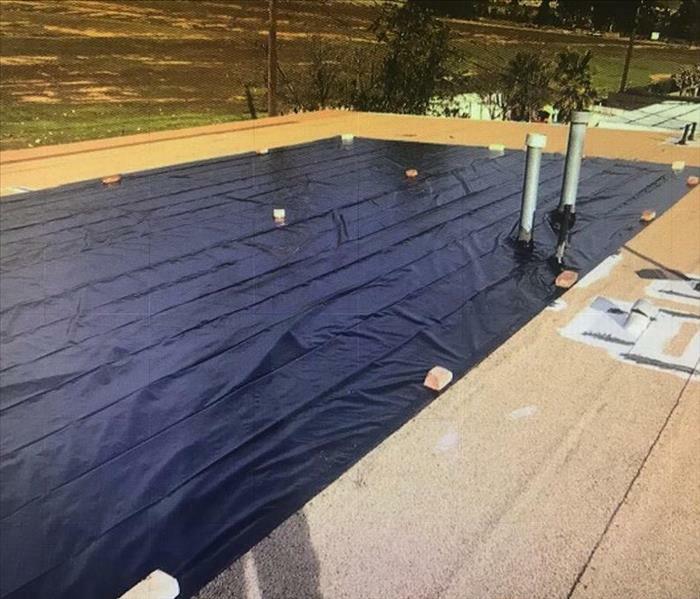 He had reached out to a couple of roofers regarding some roof issues he had, but stated that the roofers he contacted couldn’t go out until a few days. He was concerned that the rain would further damage his roof and cause water to leak inside his home. We recommended in the meanwhile that he get a tarp placed on his roof since heaving rains where expected. A tarp would protect his home during the rain, avoiding water from intruding and damaging areas in his home. We helped him with the tarp and put it in place just in time. Rains were heaving and continued for days. It turned out to be a good preventative strategy. We can do the same for you. 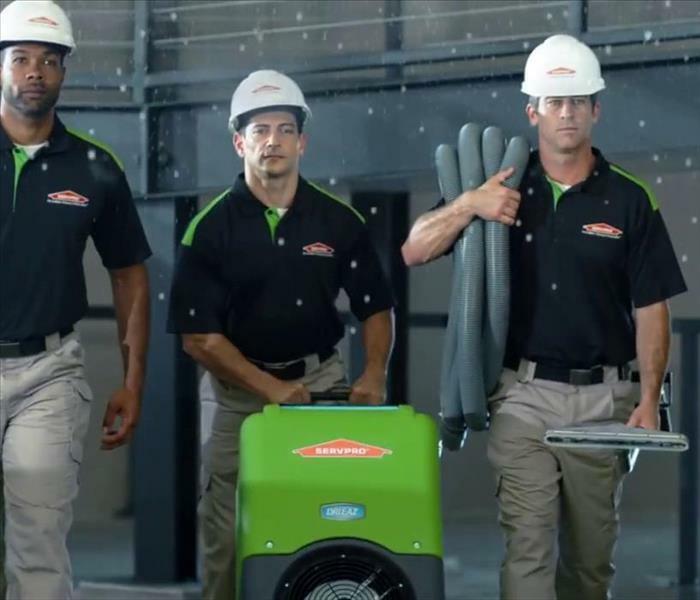 SERVPRO of Beaumont/Banning is available for all your commercial cleaning needs. Whether its a water emergency or a carpet stain that needs to be removed, we are here to help. Here is a photo of one of our vehicles and the equipment used in order to extract water at a large water loss. This equipment is also used to clean carpets and other flooring. It gets the job done. This Joshua Tree home had water intrusion throughout their home due to a broken water pipe in the attic. Water intrusion affected multiple rooms, damaging drywall, contents, carpet and laminate flooring. Drying and demo where necessary. Here you see our expert technician removing drywall and insulation, preparing the area for rebuild. Our Crew Chief Will Campos at a home of a Beaumont Resident prepared and ready to tackle a mold job. He is sporting an elegant and fitted Personal Protection Equipment Suit. The suit will not look this nice after the job is completed. This is why he wanted to take the photo before and not after the job was completed. If your home or business has a mold problem, our technician Will can inspect and assess your property and use his specialized training, equipment, and expertise to remediate your mold infestation. We at SERVPRO of Beaumont/Banning understand the importance of using the proper drying equipment. Using the right equipment can make a big difference in the reduction of claim costs. Here you can see our state of the art equipment placed in a Beaumont home that had a water loss. This equipment, along with our technicians which specialize in drying structures and personal property effectively, get the job done. A pipe failure above your ceiling can cause great water damage to your home. 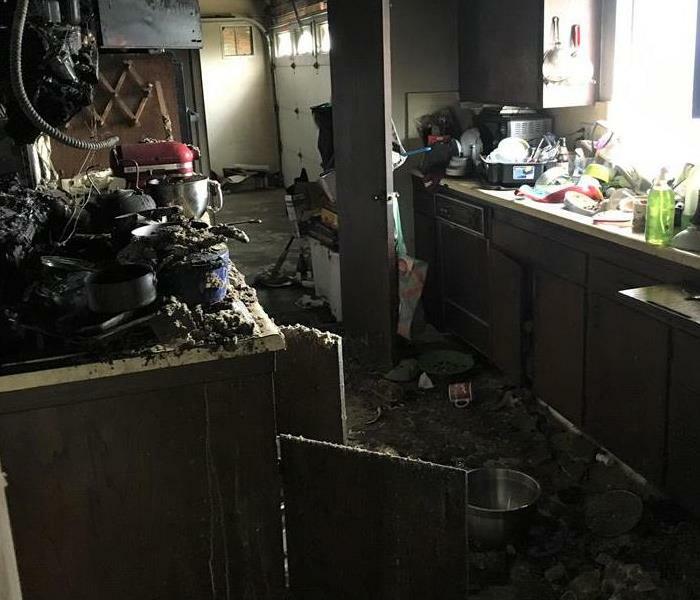 In this Desert Hot Springs home, an overhead pipe failure above the kitchen ceiling resulted in damage to the ceiling, cabinets and Kitchen floor. 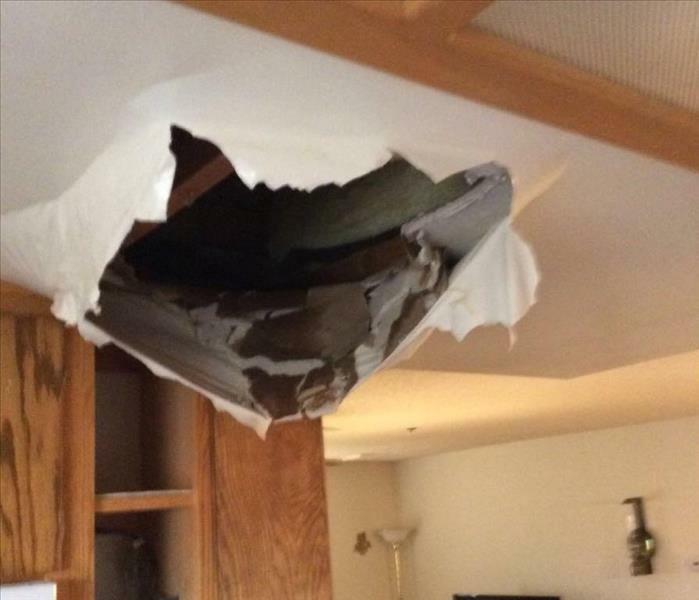 Due to heaving water and saturated drywall, a portion of the ceiling caved in. Upon arrival, our technicians quickly extracted water and drying equipment was put in place. 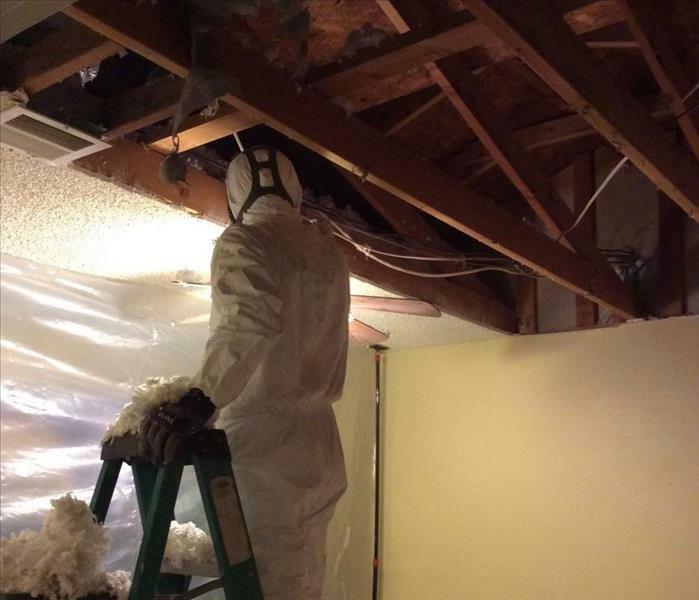 Portions of the ceiling had to be replaced along with insulation. Some cases similar to this one can be prevented. If you see any signs of water damage on your ceiling, contact us immediately. Our very own Mark Brandenburger (the handsome guy on the upper left hand corner). A proud sponsor and coach of the best team in the Rancho Niguel Little league, AA Angels!!! SERVPRO of Beaumont/Banning is a proud sponsor of the Banning Pass Little League Farm Baseball Grasshoppers. It is an honor and a privilege to give back to the community which gives so much and to be part of something that brings people together. And what better way to do this, but through baseball. Go Grasshoppers!!! Our very own Tracy Faucher and the Fire Fighters at Fire Dept-Station 89 in Banning, CA. The guys at the Fire Station where nice enough to show Tracy the ropes. She also got to witness and experience firs hand what they go through on a day to day basis to keep us safe. The heroes of our community. It’s people like this that help keep the city of Banning and Beaumont safe and secure. They deserve all our praise and gratitude for what they do. Getting ready for a ride always requires that one take first a selfie. "Going out with our fire fighters helped me to appreciate everything they do for us. They where wonderful." Thank you Station 89!!! SERVPRO of Beaumont/Banning is a proud sponsor of the AA Angels Rancho Niguel Little League. It is an honor and a privilege to give back to the community which gives so much and to be part of something that brings people together. And what better way to do this, but through baseball. Go AA Angels!! !